O you who believe! Spend of that with which We have provided for you, before a Day comes when there will be no bargaining, nor friendship, nor intercession. 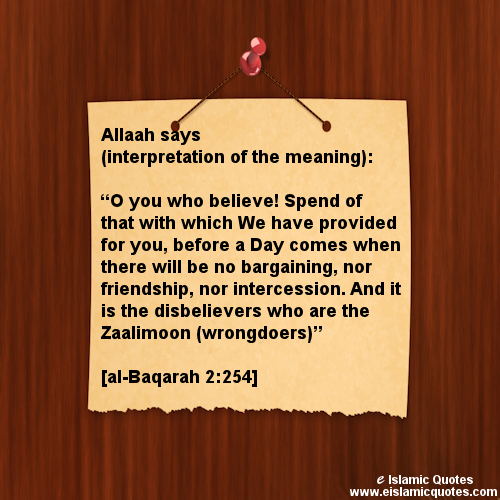 And it is the disbelievers who are the Zālimûn (wrong-doers, etc. ).